Maintenance FREE 2 bedroom 2 bath home. Open, neutral, vaulted ceilings. KIT is updated w/ Granite counters, SS appls. All new carpet throughout. Meticulously maintained, one owner home -- convenient to all things OP, highway access, parks, trails. Turnkey living at it's finest. Maintenance includes: water, trash, exterior upkeep, insurance. All one level living! Builder: Reveda Of Op, Inc.
Antioch to 133rd. Go East to132nd/Hemlock intersection. Cottages ahead on 132nd. 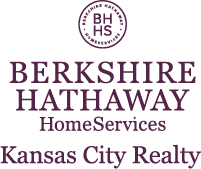 I am interested in 13180 Goodman Street, Overland Park, KS 66213.